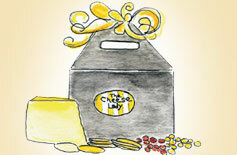 Gifts from The Cheese Lady are the perfect complement to any gathering and make a unique and delightful gift. Please find our suggestions below or let us customize something especially for you! Complimentary gift-wrapped. Includes: Box with gift bag, tissue, ribbon with Fromager d’ Affinois, Almondina crackers, Artisan French Chocolate & a bottle of wine or sparkling beverage. Perfect hostess gift! 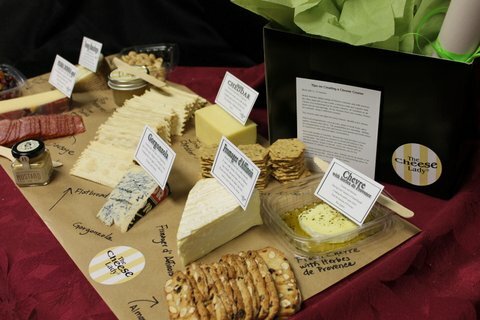 Includes: Cheese Lady Wooden Round Box, beautifully gift-wrapped with (3) cheeses, crackers & mini gourmet fruit spread & a bottle of wine or sparkling beverage. spreader & bottle of wine or sparkling beverage. 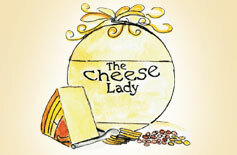 Cheeses are packaged in approx 1/3 lb. 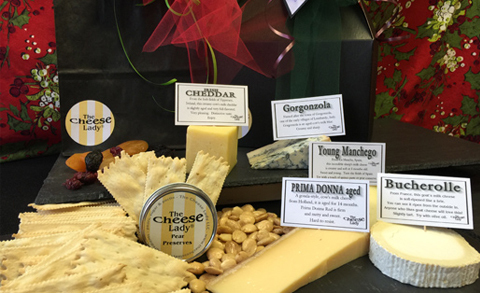 Dried Apricots, Black Mission Figs and Cranberries, Marcona Almonds, Cheese Lady Pear Jam, Panzanella Crackers and Cheese Signs for display. Packed into a gift bag or gabled box and ribboned for the appropriate occasion. Remember to order early. 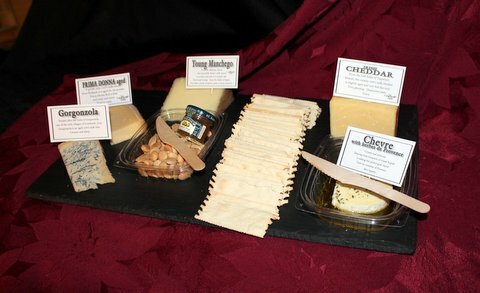 Use simple packaging or add baskets, wooden boxes or platters. Add beverages. 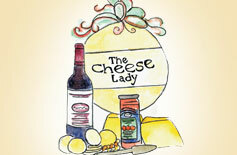 Add additional cheeses or spreads. Add your own homemade items (pickles, Christmas decorations, cookies, etc. ).